Well-Nigh Wordless Wednesday: Don’t Touch! 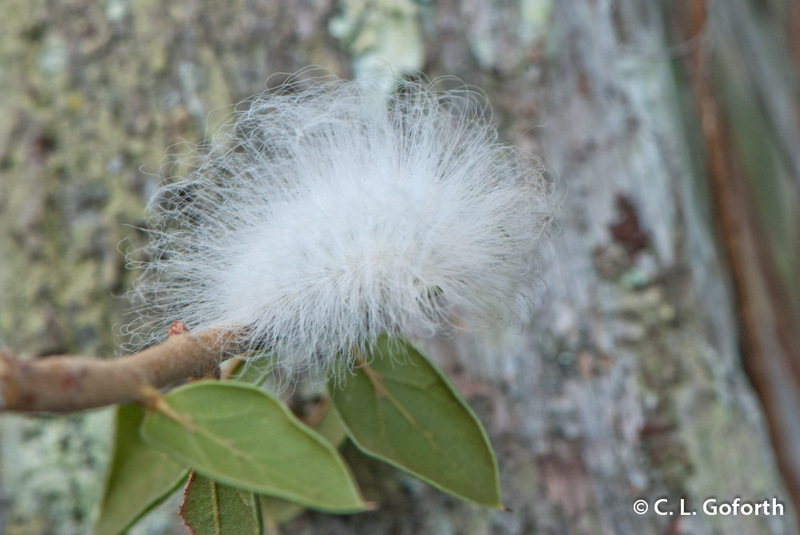 It might look all cute and fluffy, but flannel moth caterpillars are nasty little buggers! Underneath all that fur is a bunch of painful stinging hairs. Tricky, tricky! a couple years ago my Chihuahua Luna, was out walking around in the yard under the fruit trees. Then she started hopping around on sore feet, she had stepped and been stung by several caterpillars.. I forgot what they were – I had looked them up. I felt so bad for her… now we watch for these guys. Aw, poor little Luna! That sounds miserable! The pretier they are, the farthest away one needs to be from them! I know, right? I actually avoid picking up most furry caterpillars just because I worry they might be one of these. I haven’t actually seen one of those before. No? They’re cute, but quite pointy.